Brasco is the owner of The Gray Sword tavern in High Walls. He was born and lived his whole life in Sharn, and thanks to his original Cyran Parentage, that stay was restricted to High Walls. Cylia Nannin - Brasco's 16 year old daughter, spends most of her time working in the tavern as a waitress. She loves her father but wants to get out of Sharn and see the world. 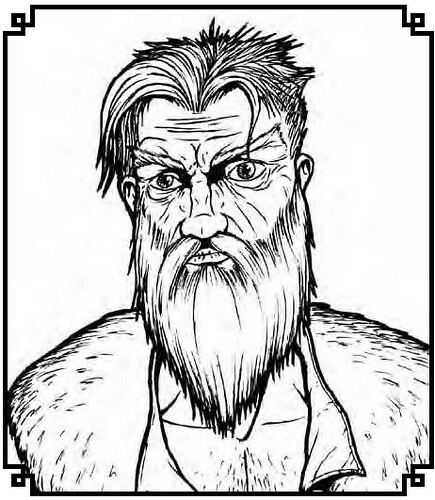 Auric Davian - Old friend, Auric lent Brasco money he had accumulated during his adventures, to start The Gray Sword. The two of them had adventured a few times before, even solving the fabled case of the green hand slicer.